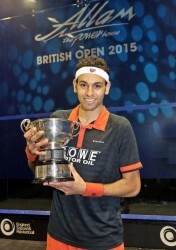 World No.1 Mohamed Elshorbagy has won his first British Open title after a marathon match against Frenchman Gregory Gaultier in Hull on Sunday. 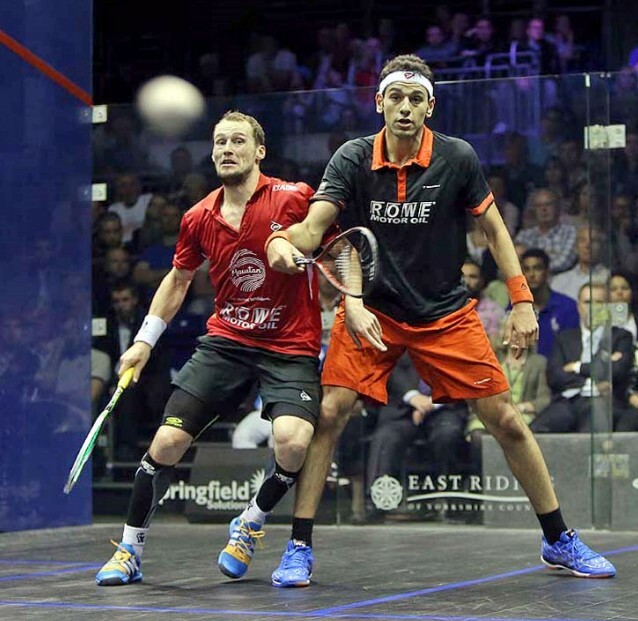 Elshorbagy, who is coached by six time British Open champion Jonah Barrington and based in Bristol went 2-1 down before coming back to claim his maiden title 11/9, 6/11, 5/11, 11/8, 11/5 in 94 minutes. In a tense and heated final the pair went blow for blow in the opener before Elshorbagy crept ahead from 9-9 to take the first game. Gaultier then looked like favourite to retain the title he won in 2014 after his precise play saw him dominate the Egyptian in the following two games. 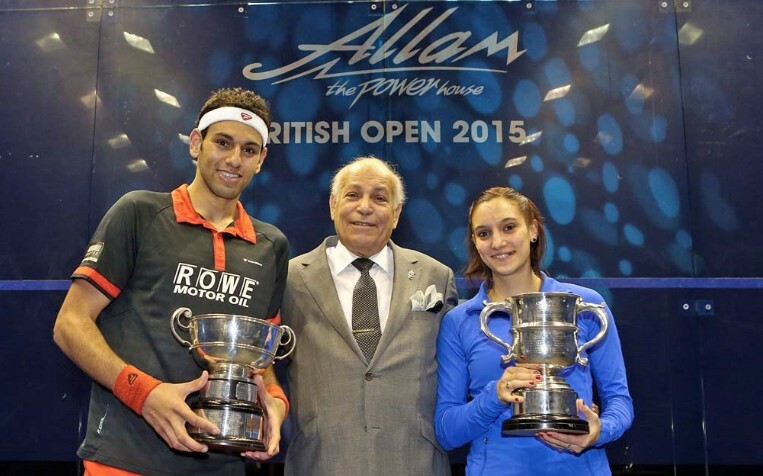 However, after pulling himself together Elshorbagy started hitting harder, forcing the Frenchman into errors to claim his first British Open title. “I’m at how I’ve handled myself this whole season, it’s been such a tough season and I really wanted to finish it with a British Open win,” added Elshorbagy. 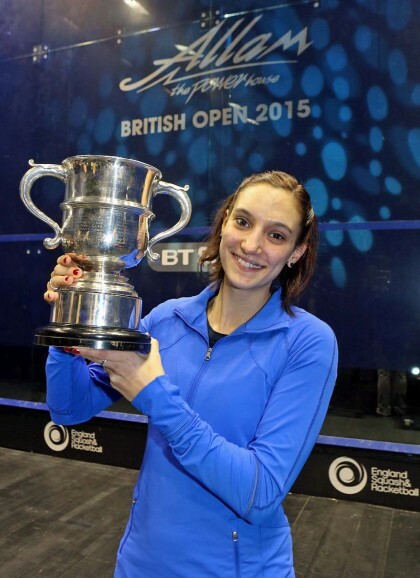 France’s Camille Serme earned herself a place in squash history when she became the first Frenchwoman to win the Allam British Open. Serme, 26, secured the biggest title of her career with a 11/3, 11/5, 8/11, 11/8 win over home favourite Laura Massaro in a 51 minute match which captivated the sell-out crowd at Hull’s Airco Arena. The number six seed started the match with ferocious pace, making it difficult for Massaro to get in front of her opponent. At 2-0 down the former World Champion Massaro fought back to give herself a glimmer of hope but it wasn’t to be for the 31 year old as she lost out to Serme’s attacking game. A delighted Serme explained how she fought to victory: “I felt really relaxed out there, I was focusing so much on my tactics, volleying as much as I could and play my attacking game. She came back strongly in the third game but then in the fourth I went back to my tactics and I managed to do it on the important points. “It’s an amazing feeling, I’m so happy. I’ve worked so hard for that win and I still can’t believe it. “I think I’ll only realise it in a few days once I’m back at home with my family and boyfriend. 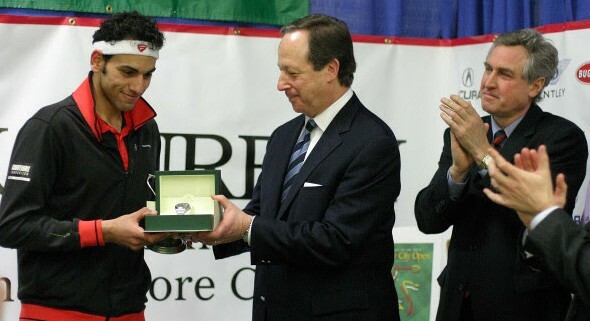 I’m had so much support from everyone throughout my career that I’m going to enjoy sharing my joy with them,” added Serme. A disappointed Massaro praised her conqueror after the match but said that she was proud of her effort in reaching her third Allam British Open final in a row.